No one can deny an obvious trend of software engineers, or IT guys and gals in general, taking up photography in huge volumes, ever since digital photography became mainstream. This phenomenon, or I may even call it stereotype, was always funny and interesting to me, especially because I’m one of those guys. So let me try breaking it up, and explaining why is this and also why I think it’s a good idea. Technical stuff is easy for us – Let’s face it, technical side of digital photography, or photography in general for that matter, is not that complicated. There’s only a handful of variables (focal length, aperture, shutter speed, ISO, white balance, flash sync speed) which is child’s play compared to what we deal with on daily basis at our regular job, hence we’re not scared of it. It’s rewarding – Because technical side comes easy for us, we quickly pick up and start solving small issues on regular basis. That certainly feeds our egos and make us feel good about ourselves, a bit at a time. It provides instant gratification – We get immediate feedback on our LCD screens, and we can tweak the output right away, which is what we love and do daily at work anyways. It’s easier to appreciate than audio – We’re just too used to acquiring information visually (reading books, tutorials, forum threads, screenshots, etc) so it’s more convenient and natural for us, than listening (which you can’t avoid with audio). It’s less expensive and less demanding than video – “Less expensive” part of this point does not require explanation, let me explain the “less demanding” part though. First of all shooting video usually takes much longer time. Shooting each individual clip takes longer than shooting an image, and on top of that if you want to do video properly, you must cover your subject from multiple angles, so either you’ll need more cameras, or you will end up shooting same thing multiple times from multiple angles. Whichever route you pick, it will require much more effort and/or money. Finally, editing video is a F-ing nightmare, compared to editing photos. It helps us practice analytical thinking and problem solving – I know I said technical side is easy for us, but that doesn’t necessary mean we can’t benefit from practicing. I see it as a light “brain training” if you want. It’s stress relieving – I mentioned this one already as a reason why IT people get into photography. At the same time, this is one of the best reasons why we should get into photography. It’s healthier than getting into prescription drugs. It provides great memories – We shoot a lot, well maybe there are teenage girls who snap more pictures than us, but as a general rule, we shoot a lot more than “regular people”, hence we document our lives better than most. Besides, quality of the end product (images) is much higher than regular phone camera snapshots, at least once we build up our skill set. It connects us with like minded people – This one is not photography specific. 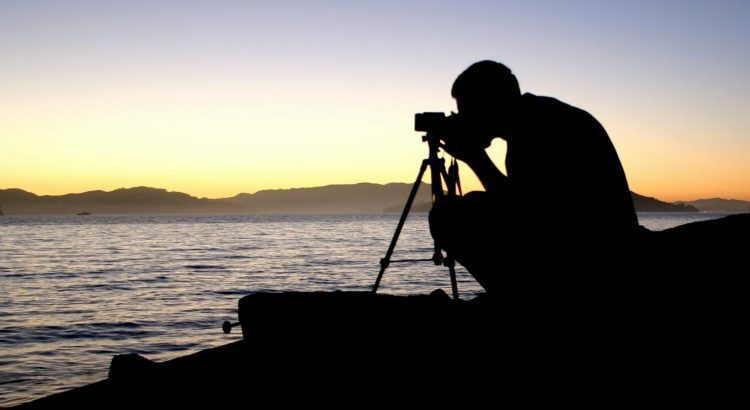 This is the case with any hobby, but it’s still makes getting into photography a good idea as it opens much more opportunities for meaningful and fun socialization. There you have it, this is just from the top of my head. I may have forgotten few things. If you think so, please feel free to leave a comment below, I’ll happily include valid ones in the post. If you liked this post, please check out my 5 tips for starting out with a camera drone.